Teachers at Maumee Valley Country Day School are being intentional in how they incorporate heritage month recognitions into their curriculum. 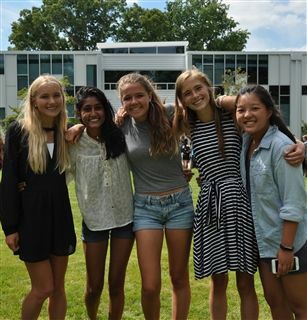 Known for their diverse student population, inclusion and acceptance of all community members is an important aspect to a MV education. Heritage months, such as Black History Month in February, Women's History Month in March, and Diversity Appreciation Month in April, give teachers an additional platform to recognize and celebrate the accomplishments of members of each heritage group, not only during class time, but also during assemblies and spotlights. There will be many activities recognizing heritage throughout the next three months throughout the school. The Upper School departments are recognizing trail blazers within their disciplines during February assemblies. Already students have learned about author Claude Brown and mathematician Katherine Johnson (celebrated in the excellent film Hidden Figures). Additional book displays showcasing black American authors in the Resource Center and Lower School have been added and Head of Middle School Mr. Graham has special programs planned for Middle School students during their town meetings. Many more activities will occur within classrooms throughout the coming months.